A beautiful story is told by one of our earlier Indian missionaries of a proud and powerful chief who, under the preaching of the Gospel, became deeply convicted of sin. 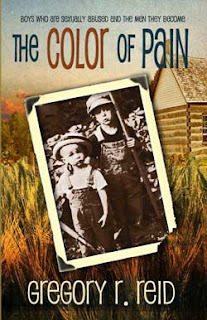 Trembling under a sense of his guilt, he came to the missionary and offered him his much-prized belt of wampum to have his load of guilt removed. When told that the Lord Jesus did not want this offering he went away very sad and depressed in spirit. Soon after he returned and offered his gun and favorite dog. “These are not what Christ wants,” said the missionary. Again he went away sorrowful, but after a time he returned and offered his wigwam and family. The faithful missionary, who saw the struggle that was going on in his heart, refused for his Master even these, saying that “the Saviour could not accept even these as a sacrifice for sin.” The poor convicted, half -despairing Indian then threw himself down upon the ground, and, lifting up his tearful eyes, exclaimed, “Here, Lord, I can do no more. Please take poor Indian too.” The answer of peace and pardon was not long in coming. Many more delightful instances could be given of the Gospel’s power to save even the poor Indian. We give more fully in detail the story of the conversion of Joe. It has been made a blessing to many. We trust the placing it here on record will cause it to be a stimulus and blessing to many more. How true it is that it is not always that the greatest results for God are obtained when the surroundings are most favorable! The crowded, enthusiastic audience does not always yield the greatest number of converts. How often has it been seen by the faithful minister or devoted Sunday-school teacher that their work seemed specially owned of God when under difficulties and discouragements they sacrificed self and personal comfort to be in their place and do their duty! Mikhail Khorev grew up in the communist Soviet Union during World War II. His family was often homeless and starving because of the government’s intolerance of Christianity. Raised by a father who died in prison for preaching God’s word, and a mother who never lost her faith, Mikhail grew up to be a minister of the gospel despite the constant threat of imprisonment. 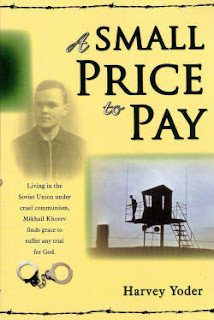 A Small Price to Pay is about how Mikhail was imprisoned repeatedly for the “crime” of sharing his Christian faith with others but each time he saw it as an opportunity to reach other inmates for Christ. 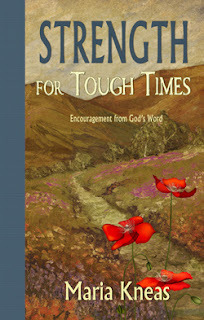 At times the conditions and torture became unbearable but each time the Lord sustained him.